ANI Technologies Pvt. Ltd, which operates cab-hailing app Ola, has raised Rs 520.79 crore ($73.97 million) in a fresh funding round from existing investor Steadview Capital. According to the company’s latest filings with the Ministry of Corporate Affairs, Ola raised this amount on 9 January. As per TechCircle estimates, the company raised this sum at an estimated valuation of $5.7 billion (Rs 40,205 crore at current exchange rates). The development comes a little less than three months after media reports stated that Ola was likely to raise $100 million from Steadview Capital. Steadview Capital had last participated in Ola's $400-million Series E round in April 2015. Other investors including GIC, Falcon Edge Capital, SoftBank, Tiger Global and Accel Partners had also participated in that round. Ola’s latest fundraising exercise comes amid recent reports that the homegrown cab-hailing major is reportedly set to mop up $1 billion from investors such as Singapore state investment firm Temasek and South African technology conglomerate Naspers. 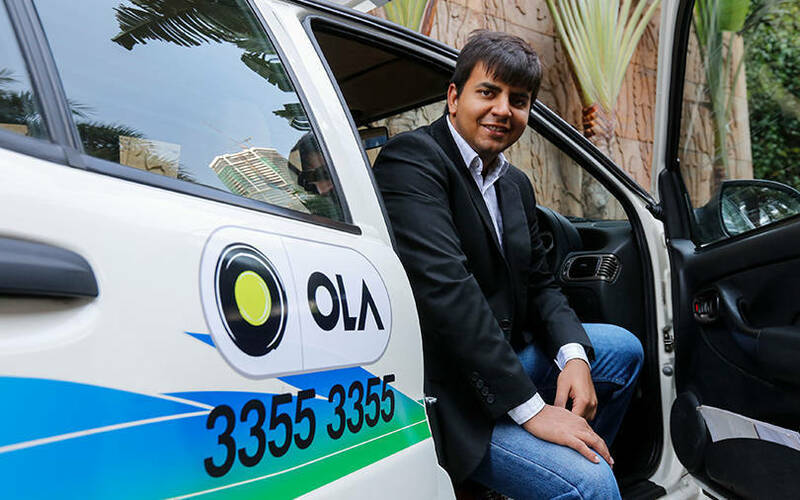 In fact, Temasek and Ola founders Bhavish Aggarwal and Ankit Bhati had sought to buy a 10% stake in the company through secondary purchases. Previous filings also revealed that Ola had raised around Rs 14.14 crore ($2 million) from China-based Eternal Yield International Ltd in December. The Chinese company specialises in supplying electric scooters, gasoline scooters, electric bicycle and other sports products, according to information available on Crunchbase. In September last year, Ola had raised $50 million from two new Chinese investors--Hong Kong-based Sailing Capital and China-Eurasian Economic Co-operation Fund. To be sure, Ola likely needs a much bigger fund infusion, considering its recent aggressive foray into overseas markets, not to mention its recent big-bet on food delivery through the acquisition of Foodpanda’s India operations. On the other hand, Ola is believed to be broadening its investor base to reduce its dependence on Japanese conglomerate SoftBank, which holds the highest stake. According to industry observers, the Ola founders' attempts to widen the investor base is possibly aimed at retaining control and staving off a potential merger with main rival Uber. SoftBank also happens to be a significant investor in Uber, holding around a 15% stake. It is believed to be holding anywhere between 22% and 26% of Ola. In its efforts to stay ahead of the competition with Uber, Ola has entered three overseas markets--Australia, the UK and New Zealand--over the past year. Likewise, Foodpanda has expanded into 100 cities, as per a company announcement last month. Uber has also forayed into the food delivery segment with UberEats. Besides, the company faces formidable rivals in the food delivery segment in the form of Swiggy and Zomato, which are both significantly funded and have raised close to $2 billion collectively. Last month, in a move that could potentially bolster its two-wheeler hailing and food delivery operations, Ola announced an investment of $100 million (Rs 720 crore then) in scooter sharing startup Vogo.